Dale Francis Sims, 83, passed away peacefully August 15, 2018 in Crosby, Minnesota.Dale was born in December of 1934 in North Bend, Wisconsin to Carroll and Eunice (Milbright) Sims. He went to school in the one-room school house in North Bend until 8th grade. He graduated from Melrose High School. Dale signed up for the draft during the Korean war, he spent his military service in Germany as a tank driver. He moved to Crosby near his sister Cleo and her husband Jim Maalis, working at the mines. He joined the Crosby-Ironton minor league baseball team, and one of his proudest memories is the time he pitched a no-hitter. Dale and Bette met at a dance in 1957 and were married in the fall of that year. Later they moved to Minneapolis where Dale worked in construction until he was injured on the job. Meanwhile, they had bought a small property on Hamlet Lake near Deerwood, and many happy weekends were spent there. After his injury forced him into retirement, He and Bette became snowbirds, and he loved working at golf courses in Arizona in the winter, and in Minnesota in the summer. Dale’s favorite pastimes were fishing, hunting, golfing, playing cards, and watching baseball or football. 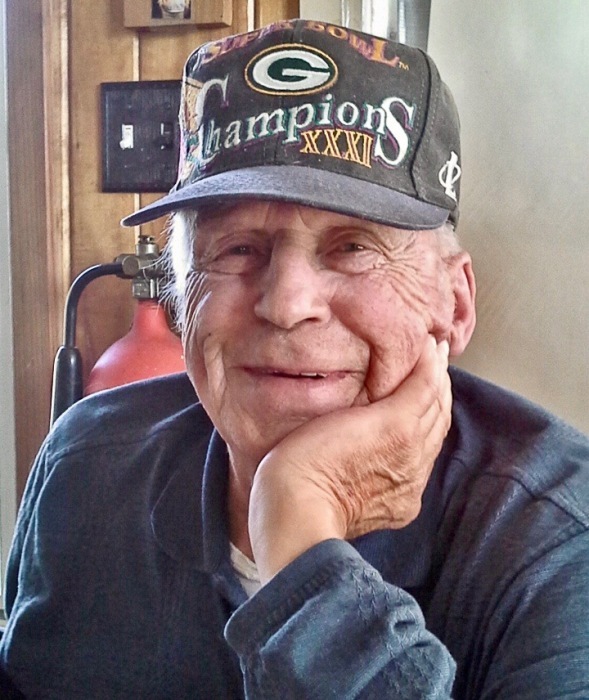 He was a fan of the Green Bay Packers and enjoyed the friendly rivalry with all Vikings fans. Later in life, Dale and Bette moved to a small house in Crosby. He enjoyed mowing his large lot and playing Smear every week at the local bars in Crosby. Dale is survived by his beloved wife, Bette of Baxter; four daughters, LuAnn Sims of Lafayette CO, Tere (Bruce) Jenkins of Minnetonka, Pamela (David) Liske of British Columbia, CA and Julie (Kelly) Simonette of Crosby; one brother, Larry (Donna) Sims of Galesville, WI; one sister, Joyce Sawyer of Melrose, WI; seven grandchildren; four great grandchildren and many nieces and nephews. Preceding Dale in death are his parents; a son, Douglas Sims; and four sisters, Doris Byom, Jean Pace, Cleo Maalis and Nancy Stern. A Memorial Gathering will be held on Saturday, August 25, 2028 at the Koop Funeral Home in Crosby from 2:00 to 4:00 pm.